These days you don’t have to be a movie star to have a celebrity smile and you don’t need to break the bank to brighten your beam. DIY at-home. 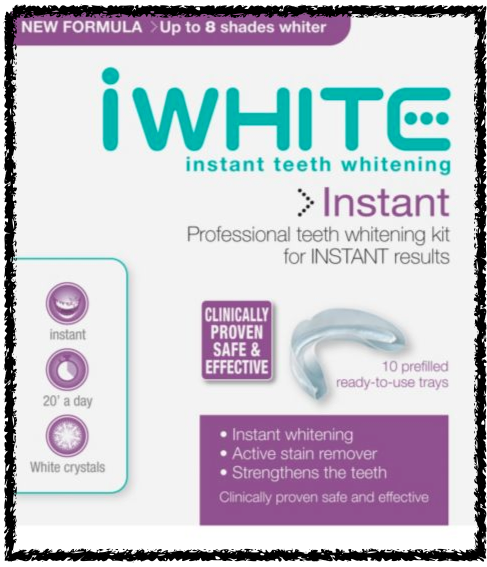 Create the perfect Hollywood smile using the professional iWhite Instant Teeth Whitening Kit it lightens teeth by up to 8 shades in 5 days. Teeth whitening is a secret that is shared amongst the A-list. Steal the smile of your style-icon with iWhite and in just a matter of days you’ll be turning heads with your own red carpet worthy smile.